Just suspend any urge to make logical sense of what you see, sit back and enjoy the roller coaster ride. Everything is eye candy for guys - lots of cars, guns, chicks, and of course robots - and all the camera angles and cinematic devices used are cliches.100% Hollywood! Why is it so hard for some people to apologise? Why is it so hard for some people to apologise? They would rather pretend everything is okay and claim that they are not party to the fiasco in an effort to appear "cool". They even shift the blame on others instead of owning up to their mistake. Sometimes all it takes is a simple statement like, "We apologise for the oversight" and then people can move on. Unfortunately, when people are not willing to admit their mistakes, they do not learn from it. I've seen instances of this sort of thing among friends in Facebook. Shouldn't teachers keep their social distance from their students to begin with? Call me old fashioned, but there is something not right about students being "friends" with their teachers on social media sites. Perhaps, let go of your fixation on Noynoy Aquino the person, step back, and regard him as a function. Then evaluate this function on the key parameters that describe the value of most functions - specifications, effectiveness, and consistency. Aren't those the primary bases for acquiring or employing something for a purpose? Like say buying a car? 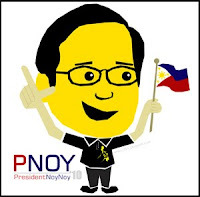 Perhaps you are too emotionally invested in Noynoy the person rather than logically critical of Noynoy the function. And that too is what is hindering you from engaging in a discussion about the man that is more mature and detached. President Noynoy Aquino stood proudly erect before the nation on Monday to deliver a statistical minutiae-engorged speech which, after nearly an hour of awkward effort, turned out to be little more than a flaccid argument that his very first act – the proscription of the use of their wang-wangs by government officials – has been the climax (so far) of his 13 months as the nation's leader. Although discussion and analysis of the SONA has overwhelmed the digital universe in the days since, it seems most commentators have not yet discovered that Aquino apparently doesn't have a monopoly on impotent gestures: one of the "priority" measures spelled out by House Speaker Sonny Belmonte for the just-beginning legislative session is a measure to ban the use of the words "Muslim," "Christian," or other words denoting religious or ethnic affiliation by the media in describing a person. [...] sorry, guys, who says you are the main audience of the presidential address? Easy as pie, right? Da Pinoy soccer strategic solution to missing the goal is to simply move the goal posts. Go Azkals! Entire families hanging on to a semblance of an existence in little stilted shacks on flood plains, in cling-ons along the edges of storm water canals, and in hives hanging off the undersides of bridges. These paint a picture of a city straining under the weight of population growth that has outpaced an ability of the society to meet the commitments in resources and productivity gains demanded by that growth. Bus crash allegedly in a high-speed race blamed on "strong wind"
How exactly does a bus simply fall out of the sky? Only in the Philippines. And the excuses are no better than what a school boy can come up with. Report. Storm now exiting the Philippines after leaving 25 people dead. 25 dead seems like a small number in a country of 100 million. Law of supply and demand. More supply, lower value placed on said supply. That's the Philippines. Report. At the end of the day, only a handful of folk in the Philippines are laughing all the way to the bank. 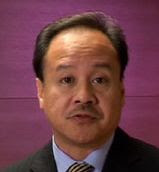 Maybe President Noynoy Aquino needs to prove he also has one.http://www.philstar.com/Article.aspx?articleId=710284&publicationSubCategoryId=63Most people don't need surgery to prove they have spines. What is it about Noynoy's 2011 SONA that's got people searching like crazy? I read somewhere that Noynoy's SONA is trending worldwide and just seeing the traffic stats on our blogs, a lot of traffic is coming in from searches for the keywords "Noynoy", "SONA", "July 25 2011", etc. People seem to be hungry for more information about Noynoy's SONA! What is driving this hunger? All roads lead back to that quintessential Filipino issue that is most fundamental to its continued impoverishment: CULTURE. 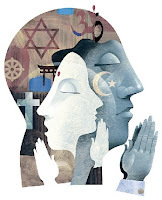 Those who have the cultural predisposition to take the long view will prosper and those stuck with an inherent short view of the world will languish in pwede-na-yan oblivion. Ang hina naman ng kalaban! Where are the post-SONA analyses? 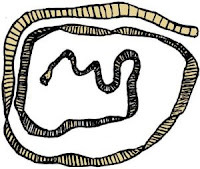 I've done mine, I've seen one by Mon Casiple. Where are the others? Busy paraphrasing it or, worse, merely re-publishing the transcripts? C'mon guys. Konting libog naman dyan! Based on English translation,http://www.gov.ph/2011/07/25/benigno-s-aquino-iii-second-state-of-the-nation-address-july-25-2011-en/Noynoy's SONA seems thick in narrative but thin on conceptual substance (read *ideas*) and vision. It comes across like backyard over the fence chatter. 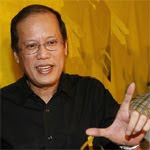 Comment by Ben Kritz on,http://newssimple.blogspot.com/2011/07/president-noynoy-aquinos-sona-delivered. GMA, despite having a speaking voice that sounds like a cat being sanded, used to do a pretty good job. Mix it up a bit. Look, it's mainly a report to the nation from its President, so certainly [President Aquino] should speak in a manner which as much of his audience as possible can understand. But this kind of speech also has a large external audience. Delivering it strictly in the native language is a signal from him that he has no message he wants to give the Philippines' regional neighbors, the world at large, or potential investors. No official government-endorsed on-the-fly SANA translation services for broadcast media seems to me to be a risky proposition as lots of unofficial English versions of the SANA are sure to proliferate. Tagalog is a southern Luzon dialect. English is a national language understood by Filipinos across the entire Philippine archipelago and is the lingua franca of international statesmanship. This is the 21st Century and the outlook of most modern societies is towards a more global perspective while looking out for local interests. You can do both (think global and act local as the cliche goes) in English. Why is it that in conducting almost all transactions in the Philippines, you have to have clearance from the National Bureau of Investigation that you are not a criminal and you have to prove your birth with a birth certificate? Are criminals so widespread in the Philippines that it is presumed that any person without an NBI clearance is a criminal? I recall years ago in 2001 how Jaime Licauco also in an Inquirer.net piece echoed the same sentiment. A nation whose policies and rules are based on the assumption that everybody is a cheat and liar unless proven otherwise cannot long endure. Take a close look at our bureaucracy and its rules. It is burdened by elaborate and often unnecessary checks and balances so that nothing ever gets done in the process. Some fundamental things about Filipino society simply don't change. Some people have come out to cite possible discrimination issues that may surround the Manila Polo Club's rejection of Manny Pacquiao's bid for membership there. Perhaps that is one initiative Pacquiao should add to his legislative agenda - a more robust legal framework for furthering the anti-discriminatory aspirations of our society. What remains to be seen is his ability to turn what he learns from this experience into concrete outcomes as far as his job as representative and legislator to the Filipino people. Fil-Am males predominantly gay or effeminate nurses? I discovered your web site (getrealphillppines.com) by accident today. I am a Caucasian American gay male who lives in NYC. Has you ever written about the incredible preponderance of gay and effeminate Filipinos. I often joke that there is one heterosexual Filipino male ... and that he is very tired. Social transformation. According to Presidential Communications Development and Strategic Planning Secretary Ricky Carandang, that's the focus of Aquino's 2011 SONA. Is this really news? That's like merely re-iterating Noynoy's campaign taglines all over again! The nature of the way Pinoys approach their aspirations should be re-framed so that the ethic that fuels it is more about personal accountability and less about access to opportunities created by others. Make sure you listen to the 2011 State of the Nation Address (SONA) Philippine President Benigno "Noynoy" Aquino III equipped with the right context and frame of mind! Check them out and come to the party better informed and better prepared! I'm not a fan of Amy Winehouse nor can I say that I would know a song of hers if I heard it. But I know her just the same because she is a fixture on newspaper headlines and magazine covers. A senseless but perhaps not surprising passing of what it seems from what I've read in those papers and magazines, to be a great artist. With great artistry comes great angst, and much therapy. Trolling and irresponsible publication of information on the Net is a prevailing problem specially with website owners and ISPs protected by the United States Communications Decency Act which fres them of liability for defamatory information published by their site users and guests. Check out the infographic. Norwegian police had warned of increasing extremism coming from the far right. Compared to other European countries, Norwegians engaged in less debate over immigration issues, whereas in neighbouring Sweden and Denmark, the perceived failure of multiculturalism and a resulting backlash against immigration have gained much ground in local politics. More here. Instead of we coming down to the masses, why can't they come UP to us? President Noynoy Aquino's use of Tagalog supposedly to better reach the "people" is often cited as a virtue. But then isn't the aspiration of most Filipinos to get themselves equipped with the skills to further their careers and (for even many more) to land that lucrative job abroad? They cannot do all of that speaking in Tagalog. To do all those they will have to be good at speaking in English. We send the wrong messages by pandering to the comfort zones of the masses. It's time the masses develop an ethic of coming out of their comfort zones and COMPETE. The worst sorts of tragedies are the ones that claim victims who are young, who have no prior relationship or relevance to the perpetrator, and who just happen to be at the wrong place at the wrong time. The attacks that ended 80 lives in Oslo, Norway meet these criteria that describe the worst kinds of such atrocities. The exciting times in the pioneering days of personal computing is the setting of Microsoft co-founder Paul Allen's autobiography *Ideas Man*. This is the story of the remarkable partnership of Allen and Bill Gates and the software powerhouse they built from scratch. Great read! This blog is for short posts made on the fly. Articles published here will be broadcast only through our Twitter account.